Heat the pressure pan and then pour oil and season it with mustard seeds and add onions and fry till it becomes transparent in colour. Then add elaichi ,chilly powder,salt and rice with two glass of water and keep it for boiling for fifteen minutes. 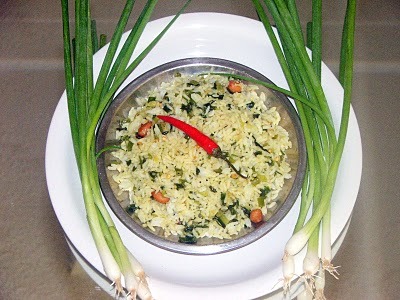 once the rice boils serve it hot with aaloo fry. I am sure you will enjoy this instant onion rice.